A no-deal Brexit would “inevitably” lead to the return of a hard border in Ireland, the European Commission’s chief spokesman said on Tuesday (22 January). “If you push me to speculate on what will happen with a no-deal I think it’s pretty obvious. 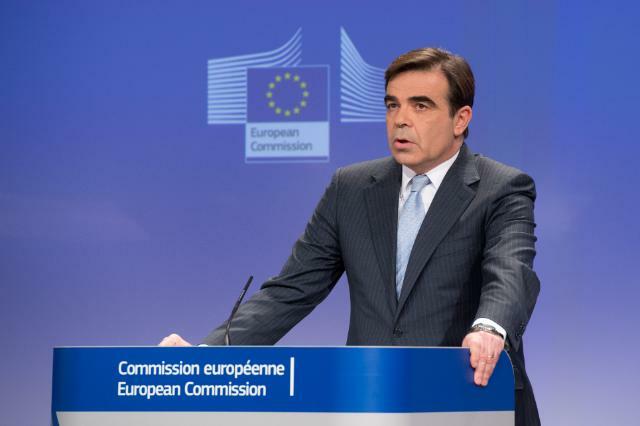 You will have a hard border,” Commission spokesman Margaritis Schinas told reporters at the EU executive’s daily briefing. “I will not speculate on plan B because we are still committed to plan A,” Schinas added. “A no-deal Brexit will clearly put some of these things at risk”. The question of the border between Northern Ireland and the Republic has been one of the most controversial issues throughout the Article 50 talks between UK and EU officials. The controversial Irish backstop is aimed at preventing a hard border by including Northern Ireland in the EU’s customs union if a new free trade deal between the UK and the EU cannot be finalised before the end of a planned 33 month transition period following the UK’s formal departure from the bloc on 29 March. 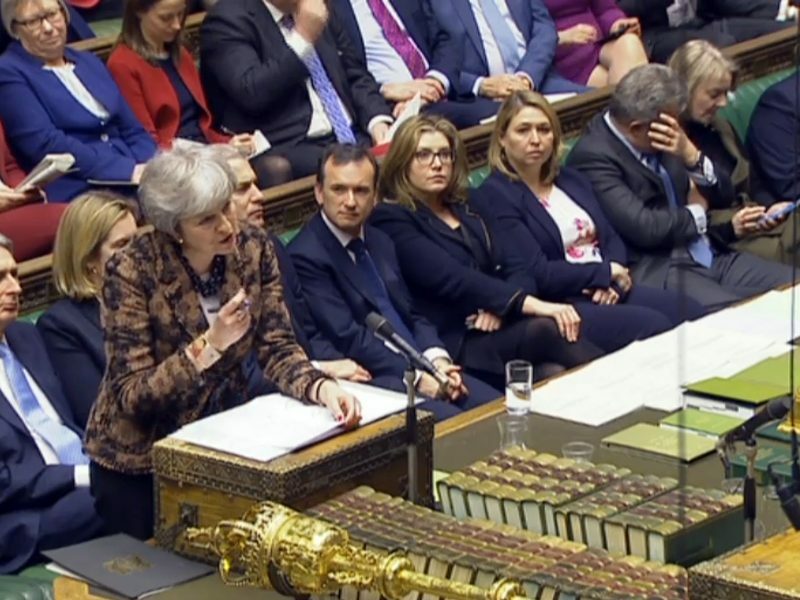 British Prime Minister Theresa May sought to break the parliamentary deadlock over Brexit on Monday (21 January) by proposing to seek further concessions from the European Union on a plan to prevent customs checks on the Irish border. 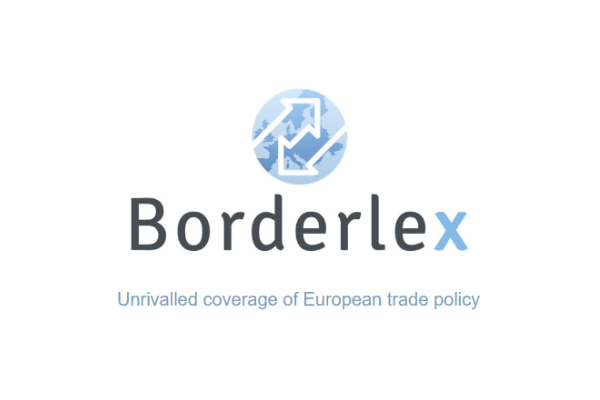 “Our contingency work is intensifying,” said Schinas, following last week’s vote by UK MPs which rejected Theresa May’s Brexit deal by a majority of 230. Both the UK and Irish government have stated separately that they have no intention to re-instate border controls, although May told MPs last week that “the Irish government will be expected to apply EU checks in full”. However, Varadkar added that avoiding a hard border would be “more difficult to achieve without the withdrawal agreement and would require very difficult discussions with our EU partners”. The faction of ‘hard Brexiteers’ who believe that the UK should walk away from Article 50 negotiations unless the EU agrees to a free trade deal, say that these commitments from the governments in Dublin and London show that talk of a hard border is a scare story. Reacting to Schinas’s remarks, Sammy Wilson, the Brexit spokesman for the Democratic Unionist Party, said that the Commission was guilty of “a lot of bluff” and would not impose customs controls at the border in the event of a no deal. This point would seem so obvious you’d need brain damage to not get it. Kind of makes you wonder what drives British denial. Then Jean Claude Junckers must be brain damaged! Please refer to Irish Politician Richard Boyd Barrett grilling of Mr Junckers in front of the Irish parliament at which time he, Mr Junckers. said YES that the EU would NOT install a HARD border in the case of a NO DEAL with the UK. Is this a case of the MONKEY and the ORGAN GRINDER!!!! !